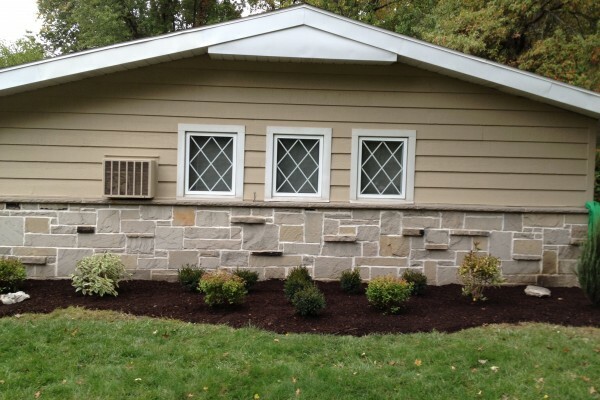 This was a beautiful new home in Perrysburg, Ohio. 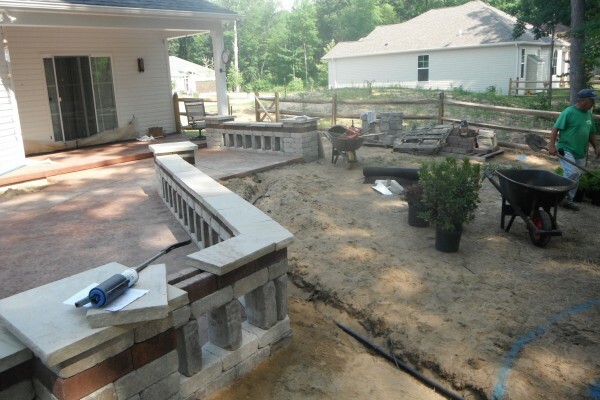 We handled everything for this project, including the stone patio, the in-ground sprinkler system, and all of the sodding and landscaping. 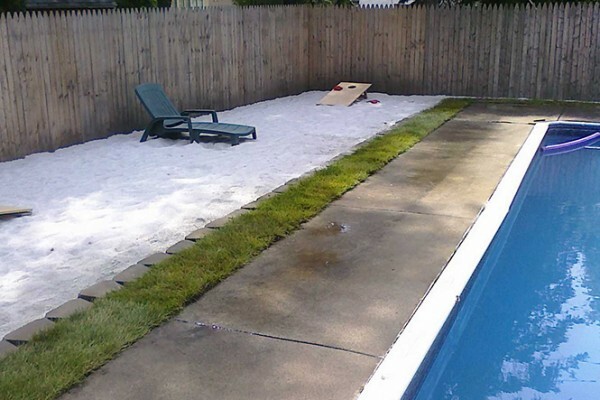 Create your own beach paradise right in your own backyard! To start, this customer had big overgrown bushes in front of their house. We pulled all the bushes out for them and custom designed some clean, bright, and manageable flower beds. Added Red Brick Landscaping Stone instead of mulch as a more permanent solution. 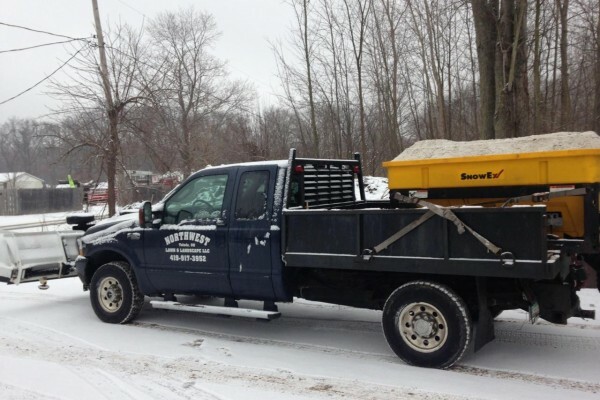 When winter weather hits, you can count on Northwest Lawn and Landscape for all of your commercial snow plowing and salting needs. We're here to make sure your lot, sidewalks, and entrances are safe and clear of snow and ice. 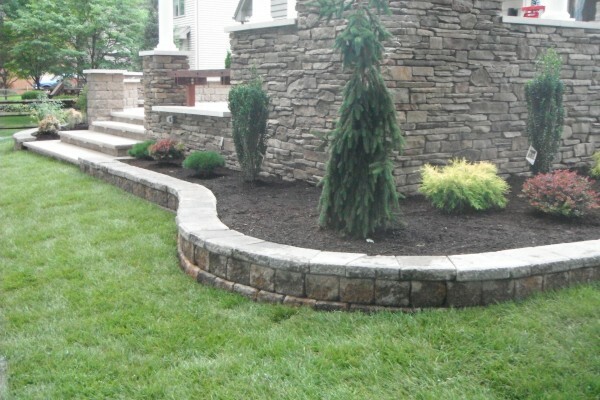 Raised bed surrounded by a dry stack, natural stone wall. 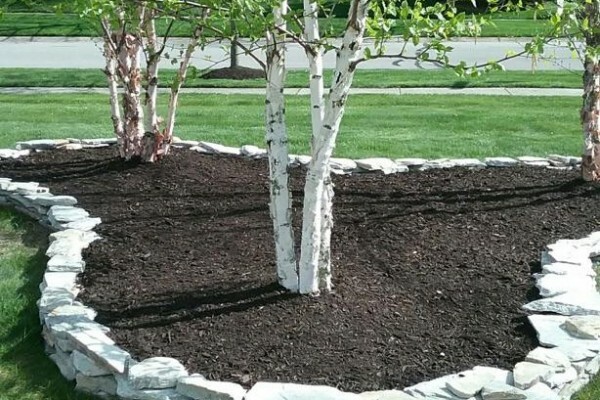 Looks great and helps to contain mulch!